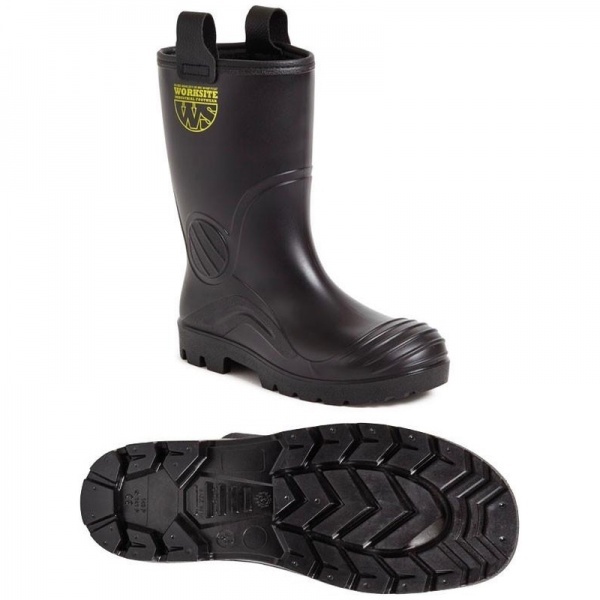 Black PVC rigger boot with fur lining for added thermal properties. Steel toecap and steel midsole protection. Leather pull loops. Anti-static. A rigger for those wet/muddy conditions.